Danny has taken another step in his relationship with Burberry, now playing a major role on the Burberry app. If you download it, you will now be welcomed to Danny’s World, where you can explore three illustrated worlds created by Danny. 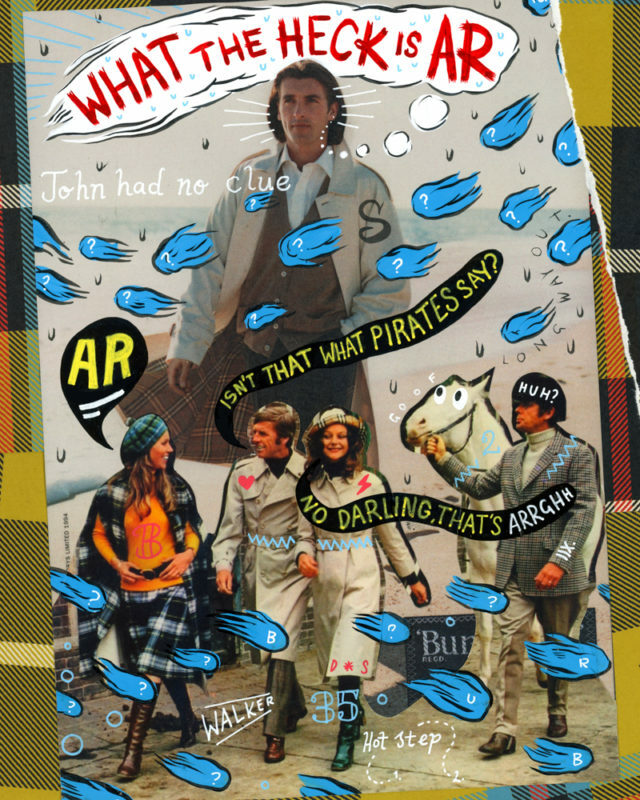 You can also become part of your very own Danny Sangra Burberry illustration. You may remember that Danny was given access to the Burberry image archive earlier this year, and made selected images his own, literally putting his mark on them ‘with indiscreet streams of consciousness and commentary’. Those reworked ads were shared with Burberry’s Instagram followers. But perhaps the best way to see exactly what we mean is to download the Burberry app from your app store and give it a go.